India vs New Zealand 2019 1st T20I: The Men in Blue slumped to their biggest loss in terms of runs in a T20I when they lost by 80 runs at Westpac Stadium in Wellington. India vs New Zealand 2019 1st T20I: The Men in Blue slumped to their biggest loss in terms of runs in a T20I when they lost by 80 runs at Westpac Stadium in Wellington. The Indian captain Rohit too after the match accepted that they were outplayed in all three departments. Tim Seifert, playing only his 9th T20I and the dangerous Colin Munro added 86 for the first wicket. Krunal Pandya snared Munro for a 20-ball 34 in the ninth over but by then the damage had already been done. 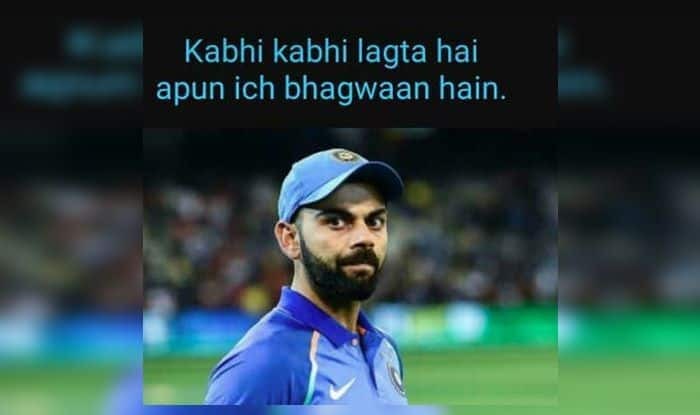 Here is how memes had a gala time after India succumbed to a loss. Ravi Shastri: So how are you gonna chase big total without Virat Kohli? “We failed to get a good partnership. 200 was never going to be easy to chase,” said Rohit in the post-match presentation. Earlier in the day, India won the toss and opted to field first. All the three wicketkeepers were picked and the Pandya brothers. Tim Seifert hit a 43-ball 84 and was the highest run-scorer for the Kiwis. Pandya emerged as the pick of the Indian bowlers as he scalped a couple of wickets. The Kiwis managed to score a mammoth 219/6 in their stipulated 20 overs.